Custom sports towels are a great addition to your complete merchandise range for any fitness centre. 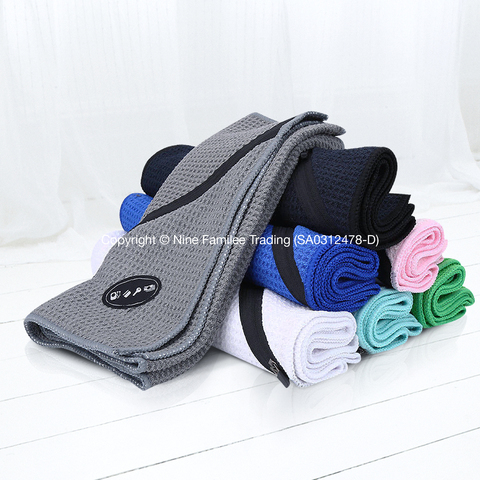 Gifting towels to your customers will not only give you repeated day to day brand exposure but will also be a useful product for them to use while trying to achieve their health and fitness goals. 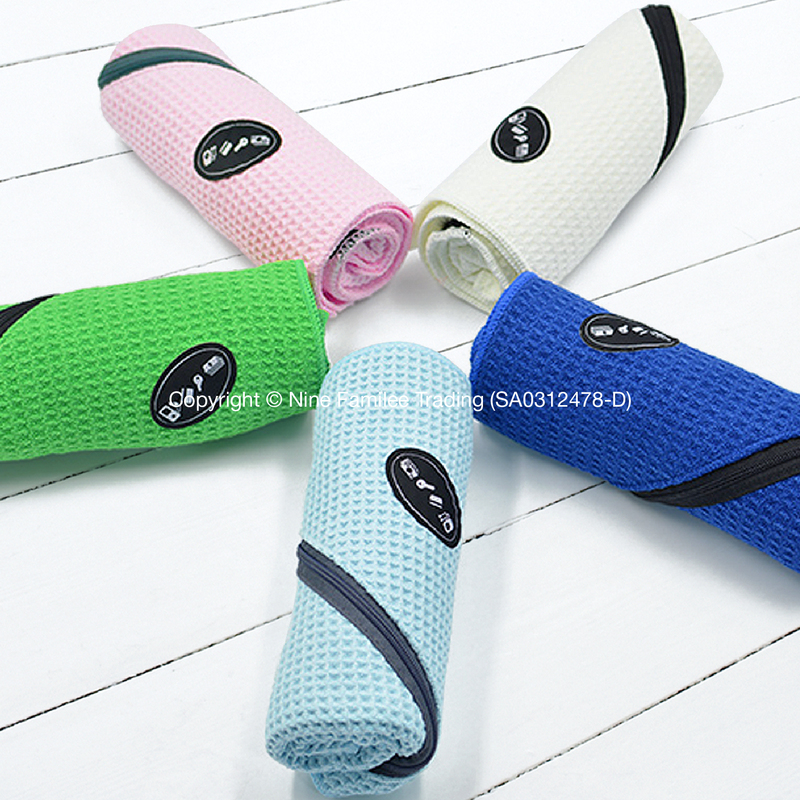 This microfibre sports towel has a high density absorbance and quick drying quality. Specially designed corner zipper pocket for safe storage of personal items. Lint-free – Does not give up any fluff when used, recommended for people with asthma. 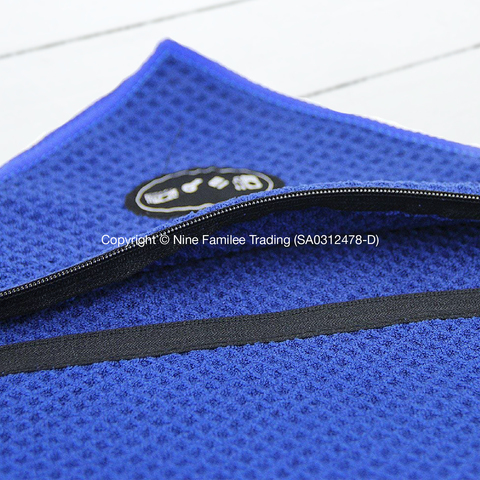 Easy to Clean – Can be dry cleaned or cleaned in a standard washing machine. • Launder towels with lukewarm water on delicate wash with like colours (do not add bleach) and thoroughly rinse.